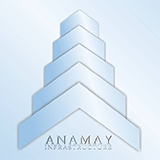 Anamay Group of companies is the fastest growing conglomerate in the field of Real Estate and infrastructure. Group has been formed in year 2000 with the desire of perfection and dedication to fulfil the commitments with the aspiration customer satisfaction, the group is a perfect blend of trust and integrity. Clear vision, expertise, honesty and good corporate governance is behind the success of the group, the group successfully implemented several project. The management is well synergized team of experts with an existing base and versatile experience of real estate, HR, R&D, services, sales and marketing divisions. The group has an expended reach & varied products under its umbrella, our group companies are involved in Mining business, electric product trading , stock broking, group housing, farm housing, developing, colonizing in some of the parts of North India. It takes a lot to dream, vision and like a guiding parent, hand hold it and take it to a bright future, Anamay group began with a long term thinking by a group of entrepreneur’s, who dream big and stuck to their vision relentlessly, the ultimate result was the creation the Anamay group of companies having its base in Rajasthan & Delhi and very soon in all over India.